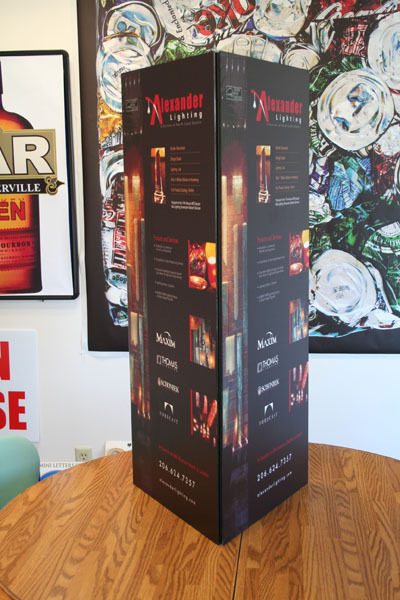 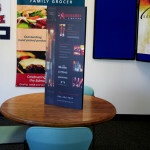 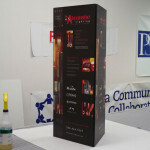 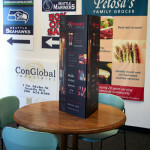 This custom made Table top Kiosk display folds up and fits together with Velcro. 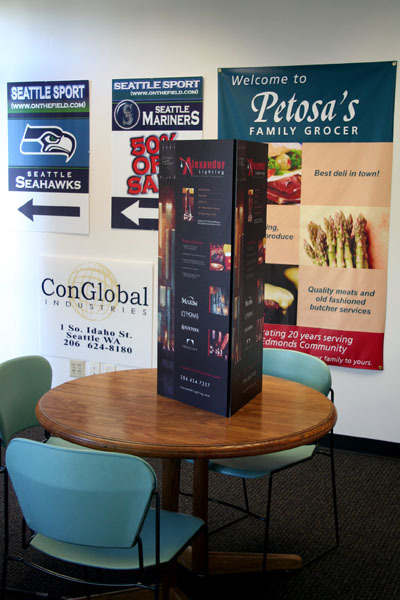 Printed on PVC plastic with vibrant colors, this Table Top Kiosk is sure to be a success in retail or tradeshow environments. 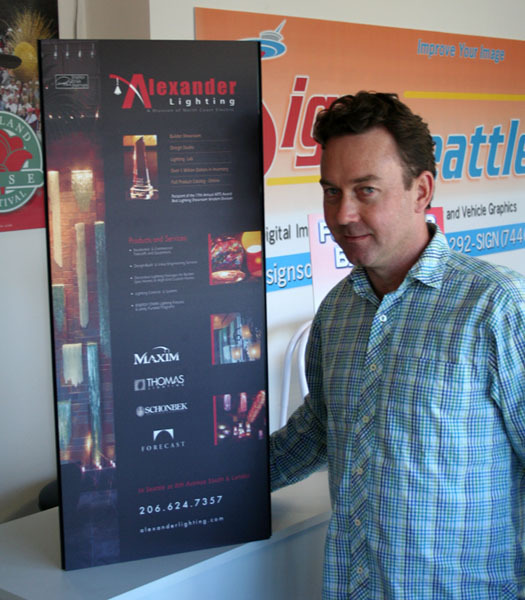 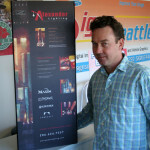 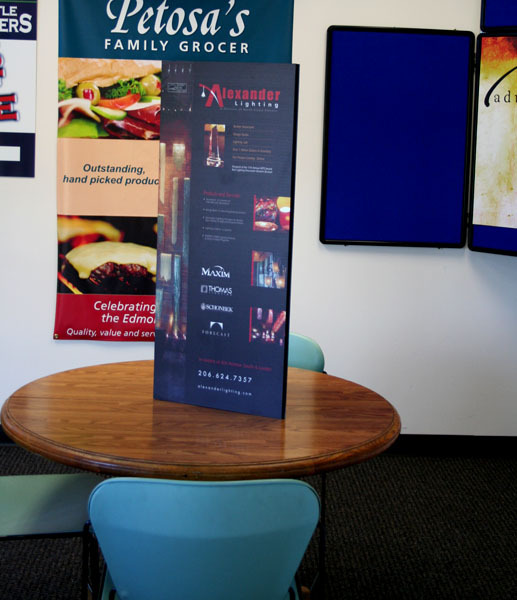 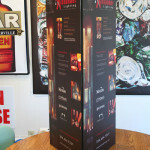 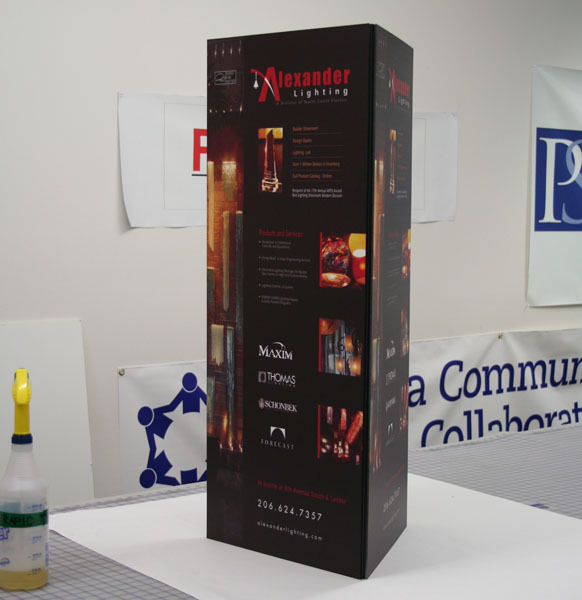 Get your clientele excited about your business with one of these great Table Top Kiosks.